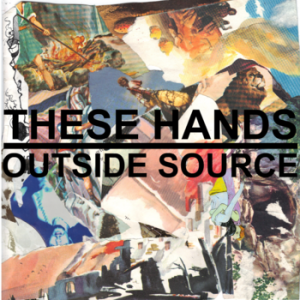 Saskatchewan's own folk experimenter Mike Hanson (aka These Hands) has just released a brand new track via Bandcamp, and for a mere dollar, you can have a digital copy of your very own. The track, entitled "Outside Source," features Charlotte Oleena (aka Sea Oleena) and her brother, producer Felix Green. The song combines the familiar These Hands-branded drifting folk-scape with a sharply minimal percussive track. Rather than releasing a new album, per se, Hanson is releasing new These Hands material one track at a time. "Outside Source" joins the track "Swimming The Notions," which appeared on These Hands' SoundCloud a few months back. In other These Hands news, Hanson is taking the show on an extended road trip with a move to Halifax. He'll be touring his way east, with stops in Winnipeg, Toronto, Montreal, and some of the smaller centres in between. "I have a few prospective east coast festival dates, a potential label signing, and a potential publicist," Hanson said by email when asked about the move. "I may be opening for a respectable singer-songwriter, and there's of course tonnes of networking opportunities waiting for me," he said. "It's a new threshold to tap into, to pierce the heart of the Canadian music industry which is Toronto, and to tour the Eastern Canadian music circuit." Hanson's also taking his UrbGyp Publicity venture along for the ride, an entity that helps promote singer-songwriters and bands such as Sea Oleena, Felix Green and more.